Oh, I love those stars! They're great in the bold colored fabrics. 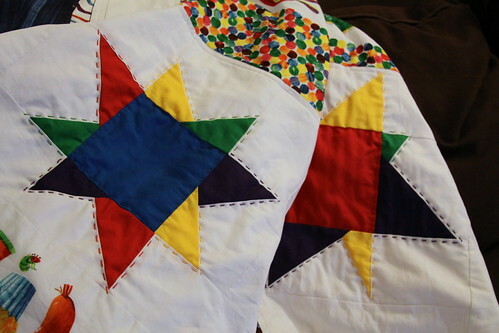 Please post a photo of more of the quilt! WOW these look so great! I wish I had the patience for sewing ;)!